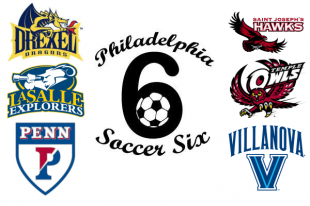 Philly Soccer 6 season previews continue this week with Saint Joseph’s University and Temple University. See our previous piece for La Salle University and Villanova University season previews. The Hawks finished the regular season 5-8-6 in 2013 with their first post season appearance since 1994. In his 5th year as head coach, D’Ambra will be looking to continue the progress made during last year’s campaign. The Owl’s made it to the American Athletic Conference quarterfinals in 2013 with an overall record of 10-4-4. Expect an exciting year ahead as veteran head coach Dave Mac Williams raises the bar for the Temple squad with a rigorous national schedule. Author: Bob McBride Bob’s love for the game started while growing up in Philly's Merritt Square section where he was surrounded by soccer legends. Bob writes about the college scene with focus on the Philadelphia Soccer Six. Follow him on Twitter @mcbrider. In my four years at Temple I never once got to see the Owls play. If they ever play a game IN Philly I’ll go. I’m not trekking to Ambler, I’m sorry.